1. 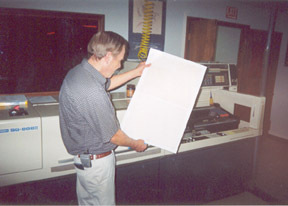 David Stumpf, Plant Manager of Color Separation, Inc. of Houston, Texas is shown holding the first enlarged computer photographic images of the Travis Letter. 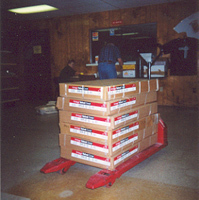 The machine is a SG-888 II one of the latest Digital Scanners in the United States. 2. 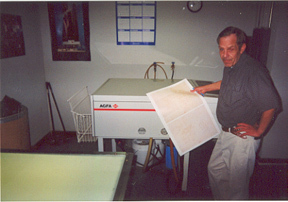 David Stumpf is shown in front of the AGFA Image and Print Negative production machine. 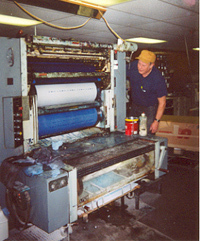 A four color process is used on the Travis Letter Prints. 3. 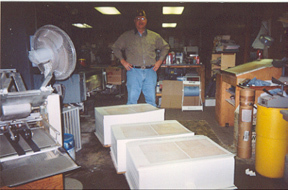 The paper used on the Prints was a 80 pound Velvet White Series. specially cut for the final printing. 4. 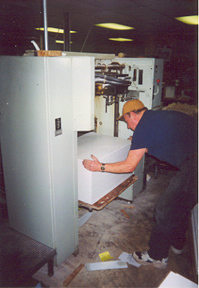 Martin Nelson of Jasper Printing Company is shown loading the paper on the Harris Printing Press. 5. The negatives used to burn the metal plates are being checked. 6. 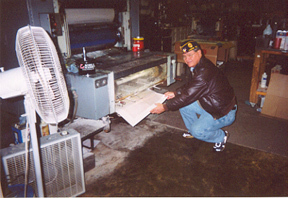 Veteran Pressman, Martin Nelson, is shown as the first Blue Ink press run is produced. The Cyan Color is the first that is laid in the four color printing process. 7. The Cyan Ink run is carefully checked. 8. The Cyan Metal printing plate is removed after the first run. 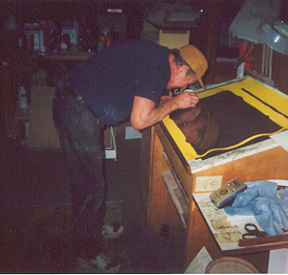 The next color laid is Magenta which is followed by Yellow and finally Black. 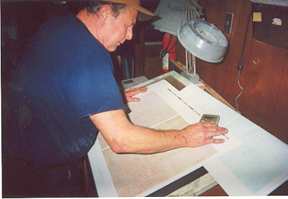 A fifth run of bold Black is used for the Information Printed on the bottom of each Travis Letter Prints. 9. 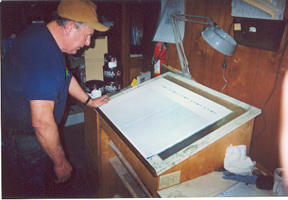 The multiple inked Prints are shown going through the press. 10. 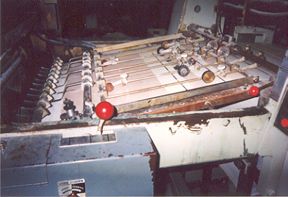 Each separate color run is reloaded to be run again until the job is completed. 11. 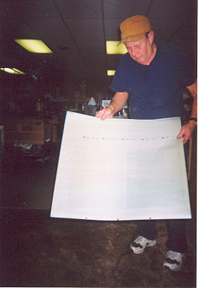 During the various Ink runs the Prints are checked with a density measuring scanner to assure that the proper ink flow is correctly laid to produce a consistent image. 12. 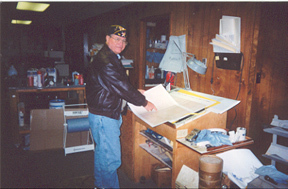 The Publisher, James K. Mitchell, Jr., is shown helping to assure the final Travis Letter Prints are of the highest possible quality. 13. 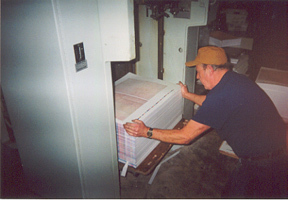 The Prints are continually removed from the Harris Press during printing to check for any problems. 14. 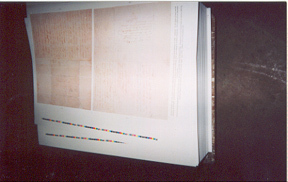 The First Edition of one thousand Travis Letter Prints are shown prior to final trimming. 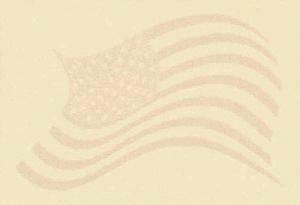 These Prints will have hand stamped serial numbers and the initials of the Publisher. 15. The final production run is completed. In addition to the First Edition of on thousand special Prints, an additional three thousand Educational Distribution Prints were produced. These Prints will not be available to individuals and are scheduled to be shipped at no charge to School Systems, Museums and Libraries in the State of Texas,and to key depositories throughout the United States of America.